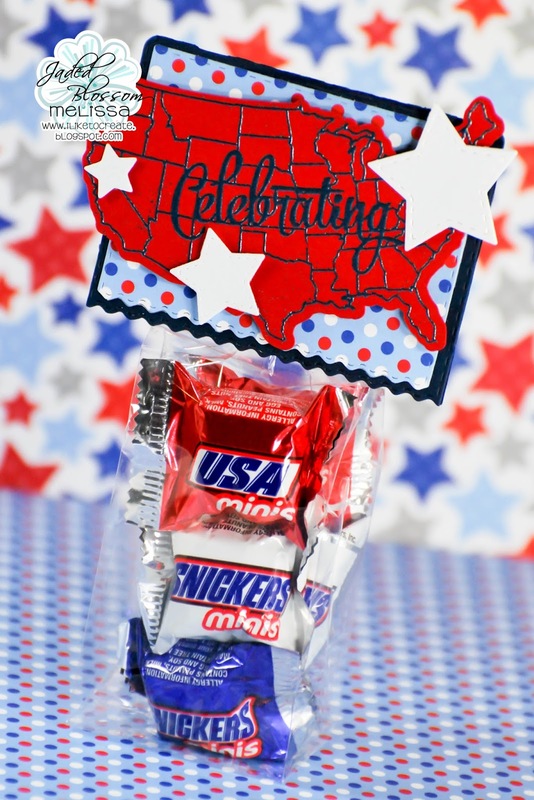 This is Melissa from M Miranda Creations and I have a super cute treat idea to share with you today! 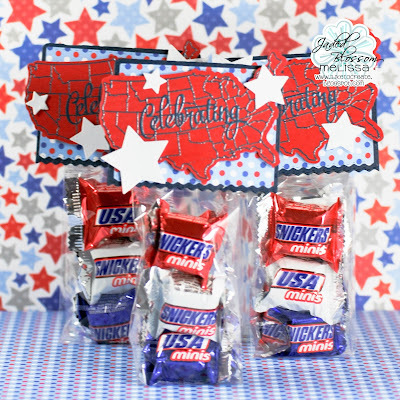 I know that sometimes we don't have stamps for specific holidays; so I wanted to share with you a way to make a festive treat for the 4th without one, but still using fab stamps from Jaded Blossom. To start with, I cut three of the Ric Rac Topper Die and some stars from the Star Dies. 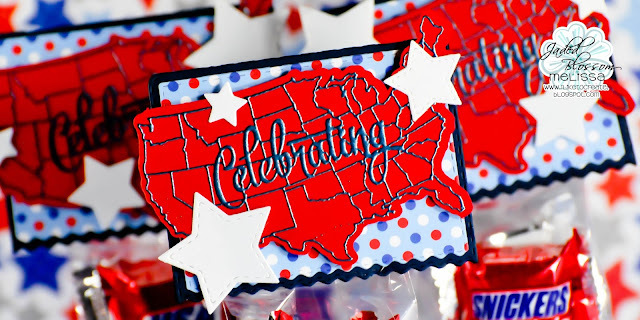 I then used my Silhouette machine to cut three of the free SVG outline files of the United States that coordinates with the United States Map stamp set. This is where the fantastic technique of embossing comes in handy. 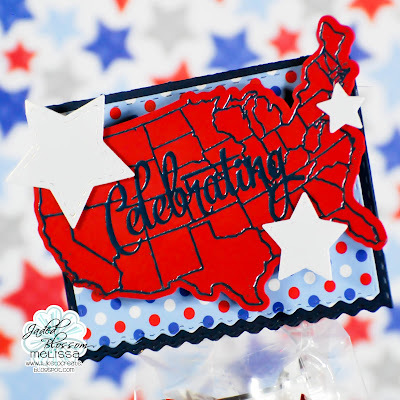 I first stamped the image of the United States Map on my svg diecut using the Versamark Watermark Stamp Pad and then I stamped the word Celebrating from Invitations Galore over the top of it also using the Versamark Watermark ink. I then poured blue embossing powder over it and heat set it and was able to get a fun sentiment right over my map. I used some Doodlebug Design paper for my background and some iridescent white cardstock from my scrap pile for the stars. I think they came out quite festive and so very fun! These are just so cute! I love your treat bags! !